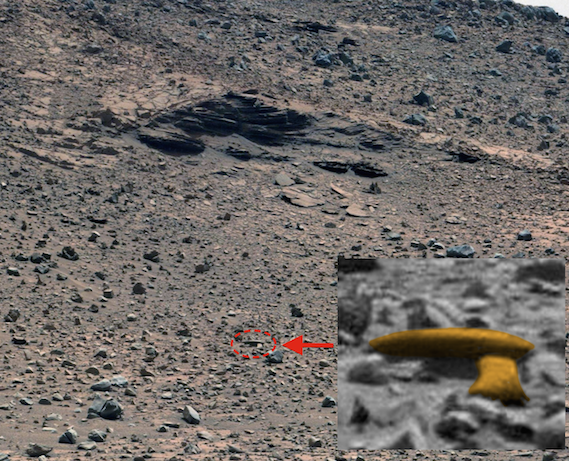 UFO SIGHTINGS DAILY: Alien Craft Wing And Ancient Tech Found In New Mars Photo, Nov 2014, UFO Sighting News. Video. 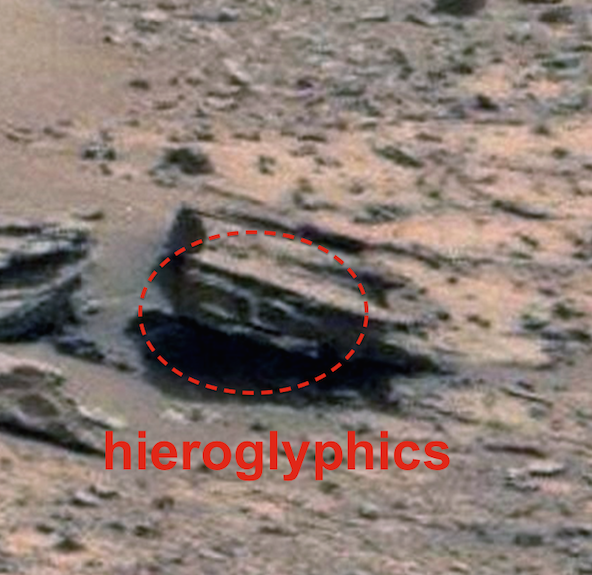 Alien Craft Wing And Ancient Tech Found In New Mars Photo, Nov 2014, UFO Sighting News. Video. 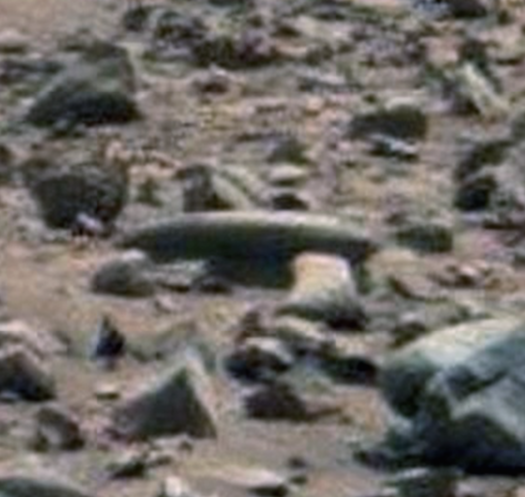 A reader here at UFO Sightings Daily left a comment about Gigapan NASA photos being worth looking over. I checked it out and my eyeballs almost popped out of my head. 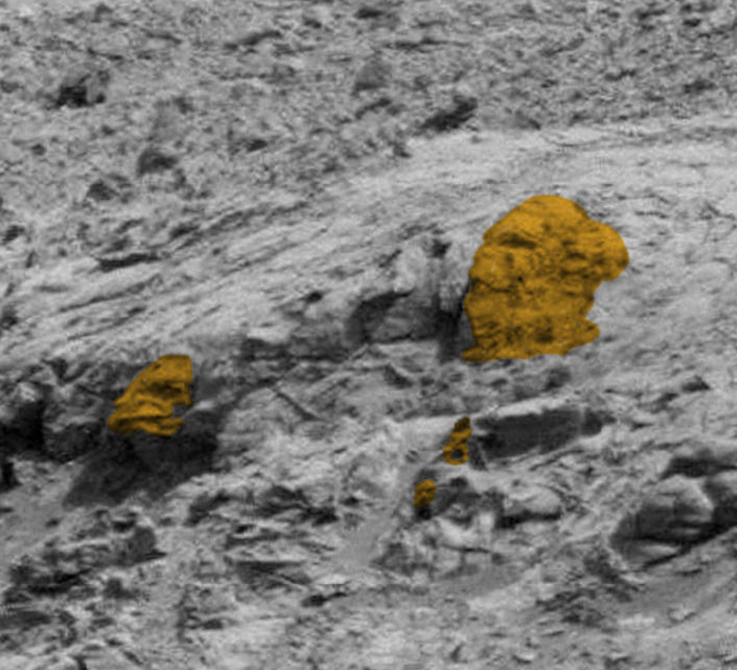 It was hard to believe that NASA allowed so much to get through without much filtering. Notice I said not much. 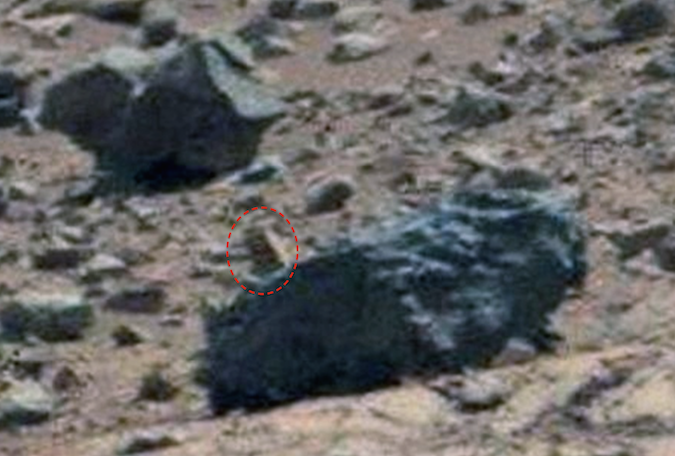 This particular photos has hundreds of faces big and small all over, but more importantly I found a fragment of a alien craft. 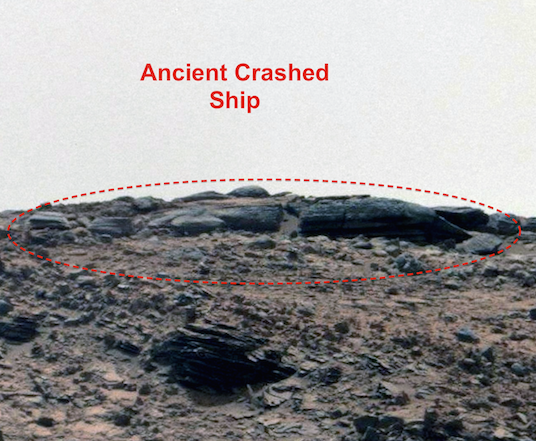 This photo and the others here were added in Oct-Nov of this year, so its a new index. Apparently NASA servers couldn't handle the size so they put them on Gigipan. I saw a few large head laying around. There were even three heads with helmets laying next to one another. Each being about 2 meters across or more. The above photo is normal color. 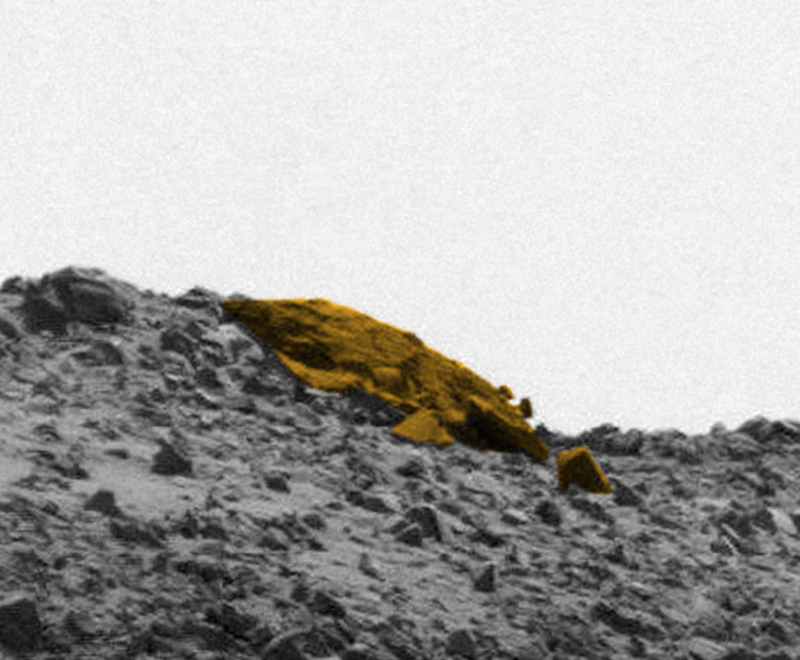 Anomaly appears to be made of gold. Below is a long broken ships (drone) solid form to withstand massive barrage of fire. On day, DARPA will be making drones that are much stronger...meaning solid so they can not be destroyed so easily. 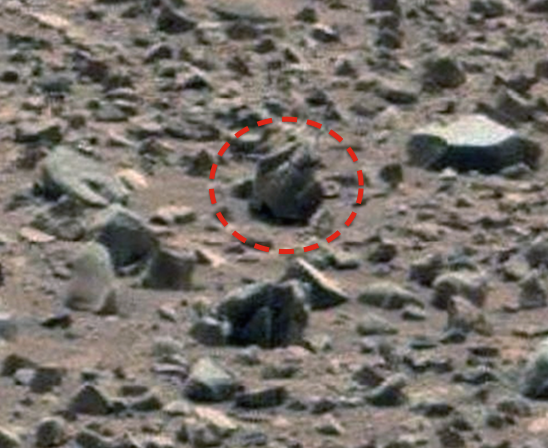 Can you see the face on the top of the rock in the photo below. It is just one of hundreds in this photo. 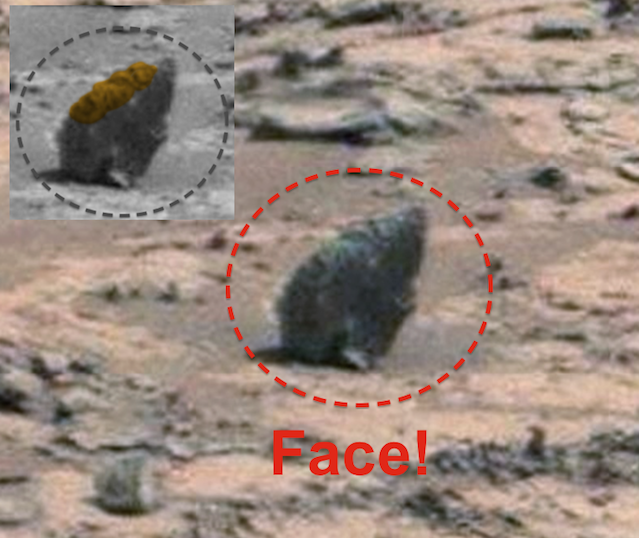 I saw dozens of different alien species faces. Below is very odd. A white wall was made in the crack of some ancient structure or craft. 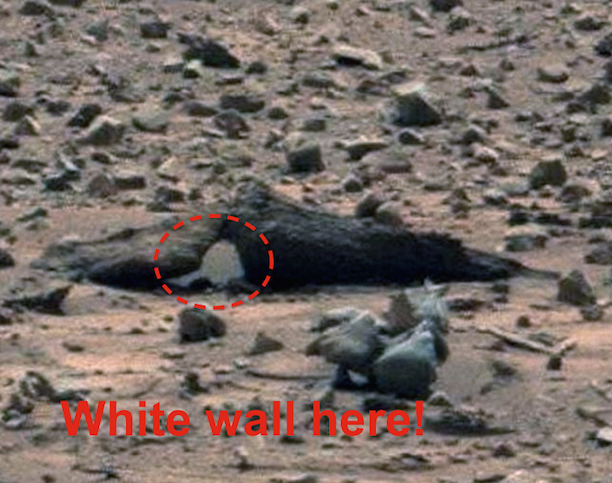 This white wall looks like it was made recently, indicating something small and alive lives within. 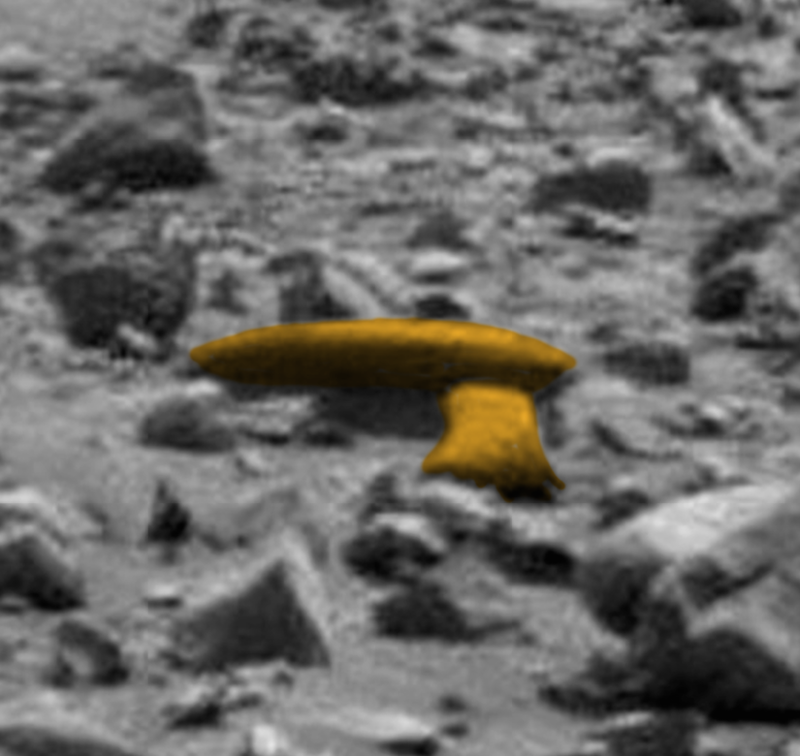 Below is part of a spacecraft.